Almost all of the new Chromebooks have a webcam that will allow you to take pictures. 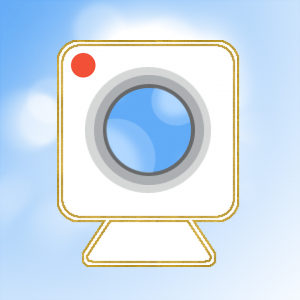 Some are quite good, but some may need an external webcam on their Chromebook if they are using their Chromebook often for video conferencing. For most casual users, the webcam on the Chrombook will do just fine for taking a simple picture. Below are some tips and tricks on how to best take pictures using the Chromebook camera that most Chromebooks have. How to take a photo with a Chromebook? If you haven’t yet, sign in to your Chromebook. See your photo larger: Open the Gallery, then double-click a photo. Save photo: Click Save , select a folder, then click Open. The photo will save to the folder you chose. How do you save an image on a Chromebook? Here is how to save web images to local storage on a Chromebook. Change the image name, if you want to. View your image by clicking on it in the downloads bar. How do I download pictures from my Iphone to my Chromebook? Google has added a Google+ photo syncing feature to Chrome which now allows you to sync your iPhone to your Chromebook. Just tap the icon of dots on the bottom left hand of your screen and navigate to Google+ Photos. How do I view photos on Chromebook? See all photos and videos you’ve taken: In the bottom right corner of the Camera select the thumbnail of your most recent photo or video. To see the photo or video larger, double-click it. How do I download pictures from my Android phone to my Chromebook? Connect your Android smartphone or tablet to your Chromebook via USB and unlock the screen. The Chrome file manager should automatically open (as will Google+ Photos if installed on your Chrome device) from where you can browse, open and copy files across. How do you crop a picture on a chrome book? You can allow Chrome OS to autofix the image or crop it. You can also change the brightness and contrast, or change the orientation of the image. That’s all there is to the Chrome OS photo editor. Next articleChromebook Stolen – How to disable it or locate it?